Or was it swine flu? Anyway we were told there was nothing we could take that would help and if it turned into a pandemic, as was probable, then lots of us would die. Well I wasn’t having that! So I did some research, asked around and discovered oregano oil, a supply of which has been in my cupboard ever since. Thankfully the pandemic didn’t materialise but it turned out that the anti-viral and anti-bacterial benefits of oregano oil have come in very handy indeed. At the first sign of a cold, scratchy throat or cough, out it comes. I also take it as a preventative measure if everyone around me is sick. 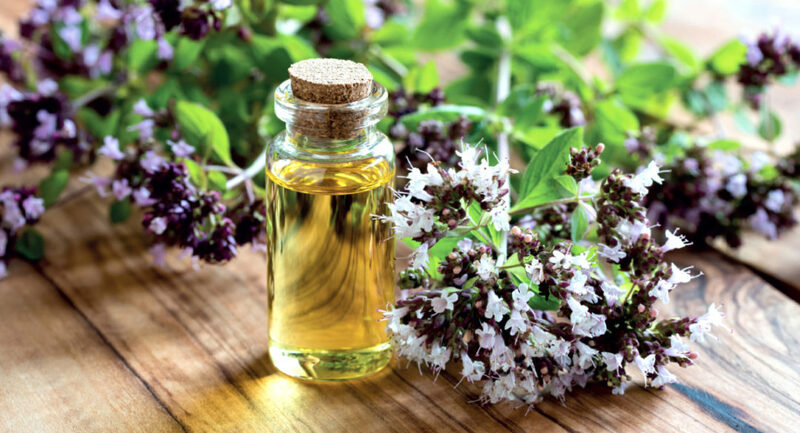 The oil we’re talking about comes from the leaves and flowers of wild oregano (origanum vulgare), which is native to the Mediterranean regions. It belongs to the same family as mint, basil, sage, rosemary, thyme and lavender. What an absolutely fabulous and fragrant family! It was highly revered by both the Greeks and Romans who employed it for various medicinal purposes, and it appears to have quite a varied amount of uses to this end. In fact its anti-bacterial powers are so strong that besides being used to fight many different infections, researchers have found that it can even help kill the deadly MRSA virus. (which explains why I was one of the only people left standing after a massive outbreak in a theatre I was working in). At a time when the overuse of antibiotics has taken its toll and they’re fast losing their potency, I believe oregano oil could literally be a life saver. This oil is powerful and can upset some peoples’ stomachs when taken orally, so start cautiously.It should not be used by children, pregnant or breastfeeding women. There are many varieties of oregano oil for sale but only the wild or oregano vulgare has these very strong therapeutic properties. Do therefore check exactly what you are buying. To treat a foot or nail fungus – put a few teaspoons of oregano oil in a basin of water and soak your feet. For sinisitus or a stuffy nose – put a few drops in a pot of hot water and inhale the steam. The oil is safe to use both orally and topically as long as it’s diluted in either water or a carrier oil (olive, jojoba and coconut are good choices). You can also buy oregano oil capsules for oral use. Topically, add 10-15 drops to two to three teaspoons of oil. It can benefit many skin conditions including eczema, psoriasis, rosacea and acne. Where can you buy it from please? Any health shop should have or try online for the Gaia brand. Any health shop should have it. I like the Gaia brand. Make sure you buy wild oregano. I am a fan of “essential oils for instance ravinsara,Pepper mint and so on ,they are very efficient but i didn’t know about oregano oïl! I ‘ ll go and ask the chemist ,thank you for this useful tip! 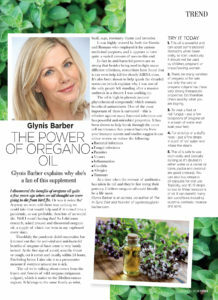 Thank you Glynis, I will definitely try this! great info.. I will be trying this👍I’m having a check up on Wed on one of the symptoms mentioned .. so this will be on my shopping list..
Hi I have found the various products but cannot find ‘wild’ in any of the descriptions, even on the Gaia site. The Gaia products are very good and fit the bill. As long as it’s the Mediterranean plant and contains carvacrol then you’re fine.